“Got it! Got it!” shout of a young boy while spinning the fishing reel. But before had caught a healthy fish, he did used a bait, attached in the hook, to get the attention to the going to and fro fishes who are looking for food to devour. How about in your store, what bait do you use to get healthy sales? Let me share with you my ideas. If you want to make big your sales, you need to put into consideration grabbing attention of the shoppers to your store and products so that they can make purchases. Capturing the attention of busy people around is one of the major goals of every visual merchandiser and retailer. 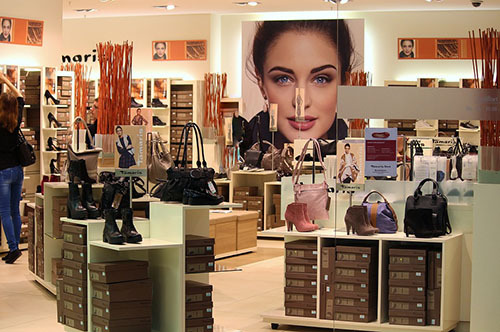 It is the first key to a successful visual merchandising, the rest are domino effect. 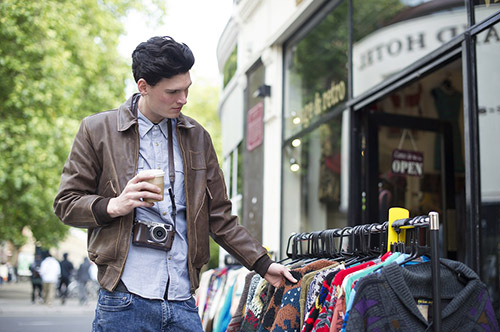 Here are eleven things you can use to get the attention of busy shoppers. Show people romantic and have a wonderful feeling is to love and be loved, ignite fear and insecurity or better yet, trigger their mixed emotion. Using emotions is a way of making clear your marketing message while at the same time making them as personal as possible. Emotions always come with three effects to your business: making clear your message, giving your customers a reason to talk about your business and it triggers decisions. It is advisable that when marketing your products, you connect with your customers. That is possible if you attract the correct emotions from the shoppers. As a business person, especially in fashion industry, you must know grabbing attention of shoppers would need you to display beautiful designer clothes, and hangers come in handy here to bring that effect. Using hangers will help you show the full feature and design of the product. Just make sure to put the items with attention grabbing design in front of the display. At the end of the day, people want something light; something that reduces stress, something that will make them forget pressure at work, and something that will make them smile, if not laugh. The use of humor is one business marketing strategies now implemented by many businesses. Most customers tend to remember advertisements that are humorous and would go around sharing the humor with friends. Grabbing attention of the shoppers will depend on how humorous your message will be. Don’t forget to create a relevant message or else, this technique will work against you. This is effective because people love see one idea being applied into different perspective. We love to see common things and ideas modified and applied into extraordinary situations. The main aim of the business is always to stay ahead of competition and to remain relevant with change in technology. A company that uses innovative means when marketing acquires more attention from shoppers. This would vary from innovative ways of packaging to selling like the use of Photoshop in marketing would grab more shoppers' attention than the traditional ways. People are not moth, but people are attracted to light especially the colored ones. There is always a need of spectacular lighting in the produce section of the store. Lighting helps bringing the freshness feeling of the product. Shoppers' attention becomes more attracted towards goods that are exotically lit with vivid colors. It can result to mediocre exhibition booth design being transformed to a crowd puller. Do you still remember Oppa Gangnam Style? How about the End of the World in December 2012? Meme is an idea or medium that being passed from one person to another or from one culture to another. It is an idea, story, picture, video or forms of materials that is funny, unique and interesting which anyone find worth sharing. In recent days, memes are easily spread and become viral using digital technology and social media. It become a way of grabbing attention using certain funny looking, exaggerated weird images or repeated funny action with matching out of the box stories. Take note that people can quickly react to what they know — especially when it is talked about by their officemates and friends. The use of mirrors especially in boutiques grab attention of the shoppers to want to look at themselves in wearable items, since everyone enjoys admiring one's self. They may try an item on themselves and end up buying on seeing it looks good on them. I remember my friend while we were walking among the crowd in a shopping mall; he suddenly stopped and tapped to look at a remote controlled moving toilet bowl toy, being played by the retailer. People generally get attracted to motion. There has been new ways of advertising here by the advertising firm uses flash lights. This gets the shoppers attention and will want to see what that is on display. It is also very much used during trade shows to attract shoppers at your stall. Novelty is something new, something that is not seen before. It means unknown and does promote information transmission. Our minds love the idea of novelty and rotate around that. We love surprises and we are fecundated to what amazes us. This is how novelty works. A novel experience captures shoppers' attention and normally becomes an essential need of the mind. To be able to maintain shoppers' attention, it is important that novelty exists continuously. Human senses have long been ignored when marketing yet it forms the basis of the shoppers purchasing and repurchasing your products. A company which puts into consideration the five senses when marketing has a 90% and above possibilities of getting the shoppers attention. Remember that the more senses you can trigger the higher response rate you can get. Themes vary depending with the event, and so should they vary depending on the purpose product being marketed. In order to attracts shoppers' attention to your product you have to select the correct theme and theme color. Poor coloring when marketing does not attract any attention. Say for example you are going to set up a window display, make sure to choose a theme which local market can relate into. Your theme will not work to achieve your goal of capturing attention if it doesn’t build connection between to what is being displayed and experience or need of its viewers. 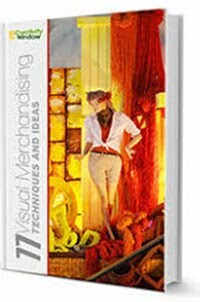 Are there other tips which would work better for your business in grabbing attention of the shoppers to your store and products aside from the ones above?